Lincoln Han, a freelance market research analyst by day, is a passionate runner. He’s been running for the past 28 years, and even has an impressive best time of 45 minutes and 20 seconds (for the 10km route) that he is still working to improve on. But the best thing is this: he runs to save the environment. Lincoln was the lead pacer at the RUN 350 event that took place over the weekend, an Eco-Run dedicated to raising awareness about rising carbon emission levels that threaten us every day. He has been dedicated to the 350 cause for the past 5 years, and is a regular volunteer and ‘green’ activist. While one of Singapore’s many monikers is the “Garden City’, is our green home really sustainable? We speak to Lincoln about his cause, and why Singapore is more wrought with environmental problems than we imagined. Why do you think that sustaining the environment is an important cause for Singaporeans? Although Singapore has not experienced any major natural disasters, we are not spared from the adverse impacts brought by climate change, such as rising sea water levels. It is important we play an active role to propagate and adopt various green initiatives to lower our carbon footprint. We can all do our part for Mother Earth. But Singapore looks so clean and green already; what environmental problems could we possibly have here? Haha, what lurks behind our blue skies might surprise you! 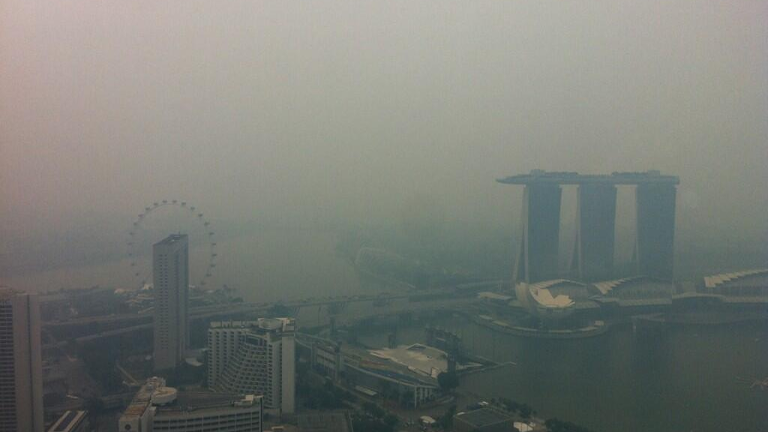 One environmental problem that all Singaporeans can identify with is the haze. Happens every year, ya? During the haze period, the air quality can be so bad that it not only affects our social, financial and commercial activities, and more seriously, it affects the health of fellow Singaporeans. Climate scientists have also been warning us about sea-level rise for years, literally begging the government to pass laws to reduce carbon emissions or risk having all our coastal cities submerged in water. The latest report released in 2014 has predicted that oceans will rise more than three feet by 2100. This means that existing cities (including ours) are going underwater, and our big and stately monuments are being submerged. And yes, cities might even become islands in future! What causes the sea level to rise, and how does it affect us? Sea levels can rise due to two mechanisms that take place as a result of climate change. Firstly, the oceans get warmed due to an increasing global temperature, so seawater expands and takes up more space in the ocean basin and hence, water level rises. Secondly, all the industrialisation and human activities have caused climate change, especially global warming, and this has caused the melting of ice over land, which then adds water into the ocean. In fact, global sea level has risen by about 8 inches since reliable record keeping began in 1880! Sea levels are expected to rise 46cm in the next 100 years. This is bad news for us, as Singapore is a low-lying island. Much of our nation lies only 15m above mean sea level. 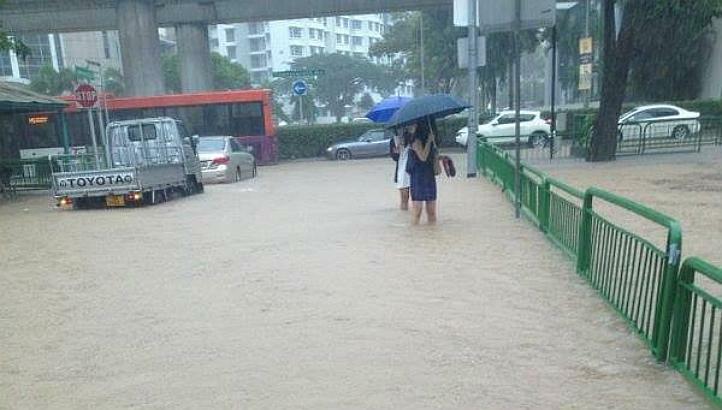 In fact, about 30% of Singapore is less than 5m above the mean sea level. Quite scary, no? Is there really something we can do about the rising sea level? Yes! We can cut down on carbon emissions! Today, the CO2 (carbon dioxide) level in the atmosphere has hit 400 parts per million (ppm), a first time in 800,000 years. Scientists believe the sustainable — or so-called ‘safe’ limit — is 350ppm. You are a regular activist under 350. What exactly is 350? In a nutshell, 350 is a global climate change movement. 350 parts per million (ppm) is widely believed by many scientists to be the safe upper limit of carbon dioxide in the atmosphere. At our current rate of 400 ppm of carbon emission, we’re adding 2 ppm of carbon dioxide to the atmosphere every year. It is important that we do as much as we can to quickly turn that around and get to below 350 ppm this century, or we might reach a point of irreversible damage to the world we live in. The movement is present in 188 countries today. Young NTUC brought the 350 movement into Singapore back in March 2010. It aims to raise awareness on the need to lower carbon levels for a greener future. Young NTUC is behind 350 in Singapore? Isn’t NTUC just a supermarket? Funnily enough, that was exactly what I thought when I first attended a forum series organised by Young NTUC 8 years ago! But I soon realized that NTUC is not a supermarket (that’s Fairprice). Young NTUC is the biggest youth movement in Singapore. They provide various platforms for young working adults who are below 35 years old to come together to do things in a purposeful way. 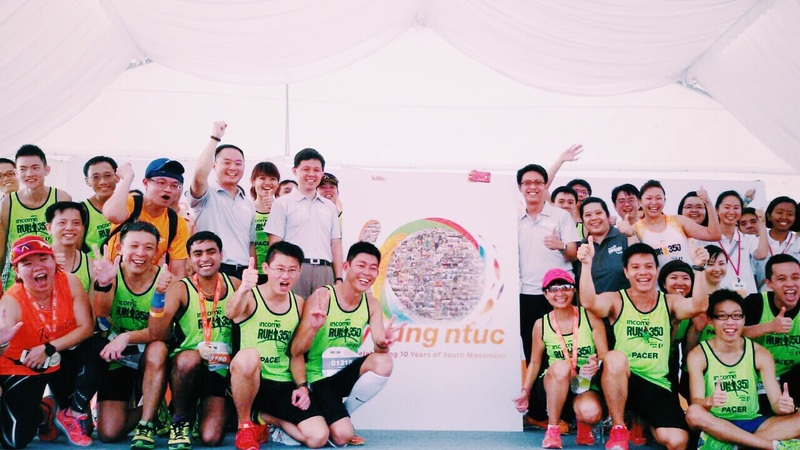 Having said that, I am grateful that Young NTUC has helped me set up the TYN Earth Runners last August. This is a running group driving the social cause to promote green initiatives through running. Does Young NTUC support other causes other than RUN 350? Of course! It’s the biggest youth movement in Singapore, remember? There are different youth chapters under affiliated unions where Young NTUC works with young union leaders to engage fellow youths at their workplace. Through various causes and activities, Young NTUC works with youth leaders and volunteers to give people a voice and also to help spread good causes. It’s not only about fun, laughter and running, you know. All these years, I’ve seen many cases of youth leaders and volunteers helping their fellow workers with workplace issues or problems with employment rights. How did you come to help out with 350, and why? 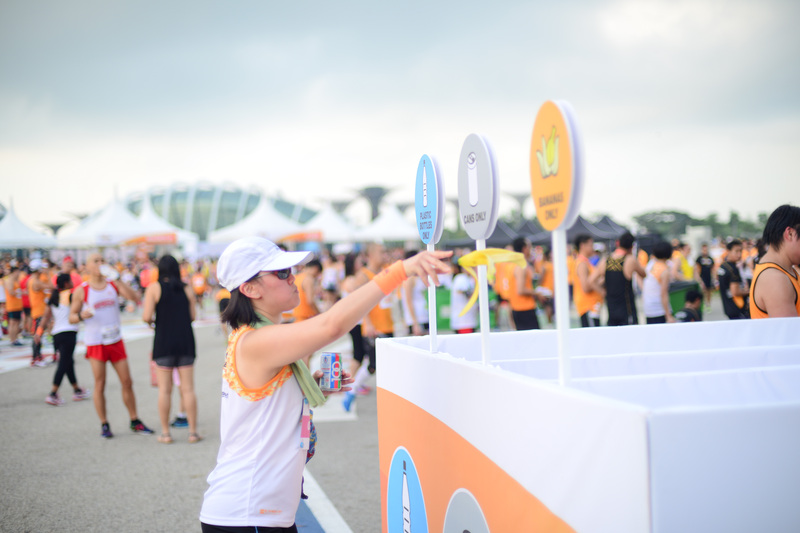 When I first heard that the 350 chapter in Singapore was organizing the eco run called RUN350 back in 2010, I felt that it was a meaningful event and I immediately mobilised my friends to be volunteers, and encouraged my runner friends to sign up for the race. I was able to mobilise over 20 volunteers and almost close to a hundred runners to take part! I have been happily involved ever since. I continue to stay involved not just because of my love for running, but more importantly, I want to be a part of the 350 global climate change movement. I want to do my part to create more awareness about 350 and also to get more people to go green. Or at least greener, haha! Some people think that doing their part to save the environment is very tough and time-consuming. Is that true? Absolutely not true! There are plenty of friendly green initiatives that one can adopt from both workplace and consumer viewpoints. By adopting these green practices, not only can we save money; we can also reduce our carbon footprint directly at the same time. One good example is to change our consumer behaviour to prevent wastage by only buying the things that we need and not what we want. How do you find time — with your full time job as a research analyst — to support other causes? I subscribe to the belief that time is what we make of it. If something is important enough, we can and will always make time for it. I believe in reaching out to help people, and I have been doing volunteerism work since my Ngee Ann Polytechnic days years and years ago. I guess you can say that it is in my blood. What impact has 350 made so far? 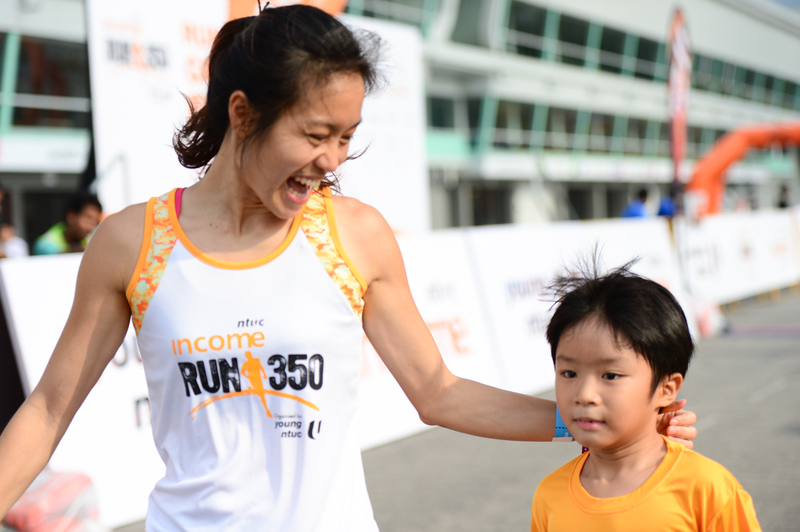 The epitome event of 350 Singapore is the annual RUN 350. 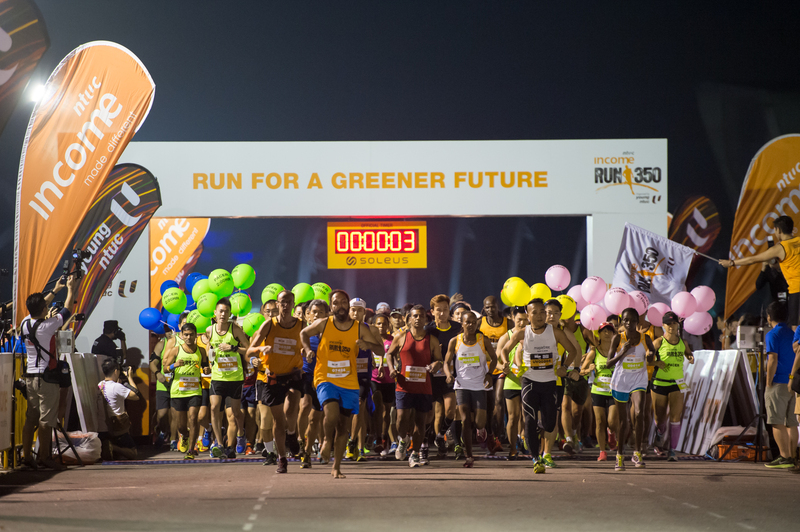 This is also Southeast Asia’s premier eco-run in support of the global 350 movement. The first RUN 350 held at Pulau Ubin back in 2010 saw some 1,000 runners coming forward to run for the 350 movement. By 2013, RUN 350 had grown to more than 10 times, to almost 12,000 runners participating in our 6th run this year. Over the years, we have reached out to tens of thousands of Singaporeans about the 350 movement. At each RUN 350, we will also put into place green practices and invite partners to share how to introduce more earth-friendly habits into our lives. Each event is also organized in a ‘green’ way: for instance, we use only eco-friendly biodiesel for our shuttle buses and we also encourage runners to BYOB – Bring Your Own Bottle! Each year, we see participants of RUN 350 learning to go greener, and many of them continue with their own eco efforts throughout the year. But if the environment is so bad already, what can I possibly do to help? I think that is just an excuse. Everyone can help by simply adopting the mantra “Reduce; Reuse; Recycle; Refuse” in their daily lives. The key to solving the environmental problems that we are facing today is changing our consumerist mindset and behaviour for the good of our environment and future generations.